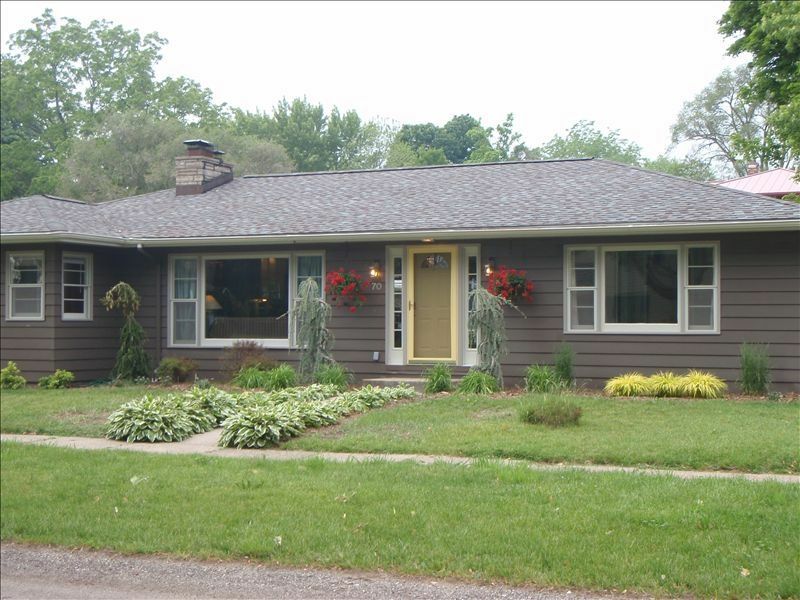 This three-bedroom home with two sofa sleepers, has views of Kalamazoo Lake and located minutes from the Douglas beach. Hot Tub for 8 people. HDTV, Flat Screen TV, Wi Fi, Fireplace and Hardwood Floors. 2 sleeper sofas in living room to sleep 12 total. Pool is shared with 4 condo units in the same complex. One bedroom has one king size bed; One bedroom has two queen size beds One bedroom has one queen size bed. upon booking, you will receive an email packet with all the instructions you need for your rental. The reservation is only secured when the rental fee is paid and the rental contract is signed (including the credit card for our files on the last page.) you will only get the code for the lock when we receive the completed rental agreement. All guests are expected to leave the property as they found it, this includes washing all dishes, linens used, removing all garbage, food and other items not on the property when you arrived. anyone failing to comply will be assessed a charge for cleaning. no persons not on the contract are permitted on the premises or to use the pool/patio/hottub area. failure to follow this rule will result in immediate dismissal from the property without refund. The house had plenty of space and is close to beaches and the town. However, the pin number didn't work to enter into the house. Although we were able to enter through the back, the owners had to come and fix it while we were getting settled. The expectation to wash and make all of the beds in the house before check out at 10am is unrealistic unless you wake up extra early. There were little things in the house that were either broken or not in working order that I was worried I would be charged extra for. For example, one of the coffee pots wasn't working. The fridge door handle seemed loose like it was going to fall off. The shower curtain liner was brittle and pieces would rip off even with the gentle touch of moving it to get into shower. One of the door knobs was also loose and needed repairs. Overall I wouldn't recommend this rental. while it is true, the battery in the lock died, we were there immediately to change it. when the ladies tore the shower curtain, and called, we came and replaced it for them. when they repeatedly broke door handles, we came out and fixed them. When they could not figure out how to brew coffee, even though the manual was atop the coffee maker, I personally walked them through the brewing three times and stood there to make sure they managed coffee. finally, if you are planning to squeeze 14 full grown women (at least one of whom is pregnant into a three bedroom house, expect to produce some laundry. and as they are adults, they are expected to clean up after themselves. renting is a two way street, and overall, I would not recommend these renters. The house was perfect for a girls weekend. The pool area is definitely the best part of the house. This was the perfect girls getaway. The pool is awesome along with the hot tub and both in great condition. The house was clean and big enough size for our group of 10. This location is close to everything! The house is unique, fun, and the perfect spot for a vacation. We would go again! A few hours upon checkout I received an email that we would not be receiving our deposit due to things we didn't even know we were supposed to do during our stay. I tried calling right away to clear things up as I was very confused by the email and two of the owners began to attack me over the phone. We were a family meeting up for a 40th birthday which included kids between the ages of 10 and 2. We all were very respectful and in bed by 10pm each night yet the owners said people complained about us. We made sure to look in the handbook before we left making sure we didn't miss anything and even cleaned the floors for them. I've rented houses all over and have never been expected to completely wash all the linens (4 beds)remake all of the beds and be checked out before 10am. We were not given back our deposit due to not washing our linens and remaking the beds before we left. If this was supposed to be done it should be clearly stated in the handbook they left for us as well as their agreement. She claimed we checked in 4 hours early just because we put a few happy 40th birthday signs in the yard and I even messaged her before hand and she never responded saying we couldn't. The owners were clearly staying at one of the other units and at any point could have said these things to us while we were here yet she waited and sent an email after we left. We frequent the Saugatuck/Douglas area and will be sure to stay clear from their properties and we certainly won't be recommending their property to anyone. There are many pros to this property. The location is fantastic. The semi private pool is absolutely wonderful. The house is clean, cozy and spacious. One physical negative was that the chemicals in the hot tub were so harsh, it made us cough, eyes water and permanently discolored some people's bathing suits. It also caused some people to develop a rash and extreme dryness on their legs and feet that lasted for over a week after our stay. Our biggest issue with this rental are the policies. A couple of them seemed to us to be unusual compared to all the other rental properties we've used over the years. You have to wash all the bed and bath linens yourself. As such, we had to get up very early to get everything washed and still check out by 10 AM, and that was with starting a load the night before we left. Secondly, we were charged a hefty fee at the time of booking for listing two extra people on our reservation beyond the stated max of 12, though we never had more than 12 people staying at the property. We had a group of 8 people stay Friday night, then some left Saturday while a few new people came for Saturday night. We never had more than 10 people at the house at once, but we listed all names in the rental agreement so as to be above board and transparent. So we were charged hundreds of dollars for extra guests, which was disappointing and didn't seem fair. Ultimately, I would recommend this property, though we wouldn't stay there again due to the overly stringent policies. that is correct, the renter agreed to honestly disclose the correct number of people that were renting, and to clean up after themselves BEFORE renting. they signed the contract, and are now complaining about what they already new. the lesson here-if you lie and try to sneak in too many people, you will owe more and not have time to finish cleaning up after all of them in time. The pictures are not quite so accurate and the place does not fully make you aware that the pool area is shared with other neighboring condos. The front of the house and the back pool area is pretty overgrown. The pretty flowers in the pics are just dried up dead flowers in the pots in the back. There are some christmas lights hanging from the front of the house that are falling down. Cleanliness of the house was pretty good, but some things like the bathroom cups and linens were dirty. Since you are supposed to wash all linens including sheets and towels and blankets, there really is no way to know if the group before you actually stripped the beds. There were very few extra blankets, sheets for those that needed to stay on the sofa bed. And the linens were just kind of tossed in a closet, not folded. Lastly the "pool house" is really just like a dumping ground for old furniture and what not. Not really usable. Some people did come by to make sure the pool was warm enough and clean. The hot tubs functioned and were great. But if you're looking for fancy, this is definitely not the place for you.